Parents, teachers and children express the excitement and joy our playgrounds bring to their schools and communities. 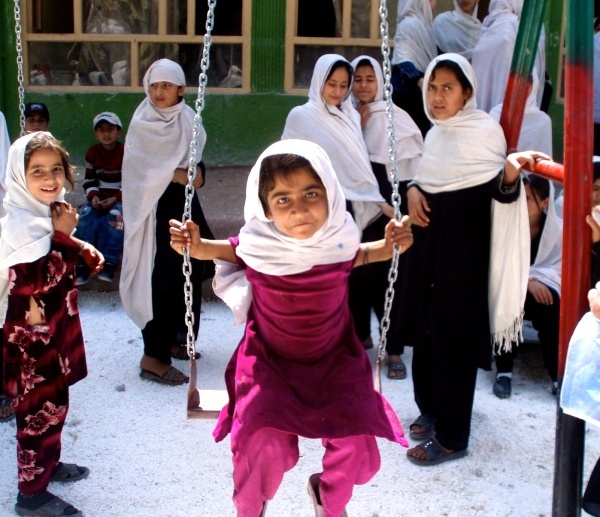 Playgrounds provide for play, learning and escape from the realities of war. Many communities have seen an increase in school attendance following the construction of a playground. Many schools use our playgrounds as part of their curriculum. Providing a space for children to play provides them with opportunities for physical exercise and for social and emotional development. School principals have reported finding children more attentive in class. Some are seeing improvement in test scores following the implementation of our playgrounds. Playgrounds are helping children build childhoods. Happy children make happy adults. 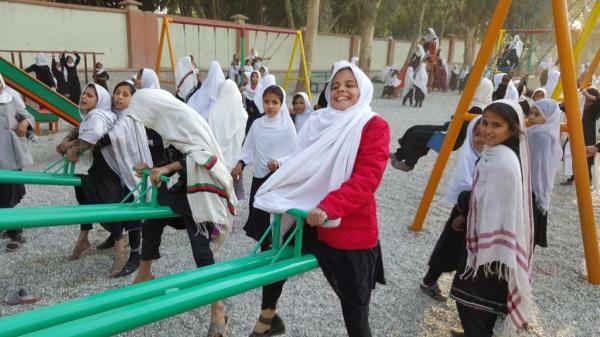 As the future leaders of these countries, children are benefiting from the joy and learning our playgrounds provide. Playgrounds can also provide a peaceful respite in what typically can be a chaotic and stressful existence. In some areas, our playgrounds provide a venue for children and adults of different backgrounds to interact for the first time. Playground Builders partners with local businesses and non-profit organizations to build safe playgrounds. Our local partners help identify local needs and safe locations. Upon completion of the playgrounds, our partners help to maintain and secure them. Local contractors are always used to build, install and help maintain our playgrounds. We use a local bid and tender system whereby the selected contractor builds the playgrounds using local materials and labor. This creates jobs for local people, thereby improving the local economy. Jobs provide income, stability, pride and dignity for the local people who otherwise must leave the region and their families to find work. The availability of local jobs reduces the chances of local people being among the millions of economic refugees in these war-torn countries.